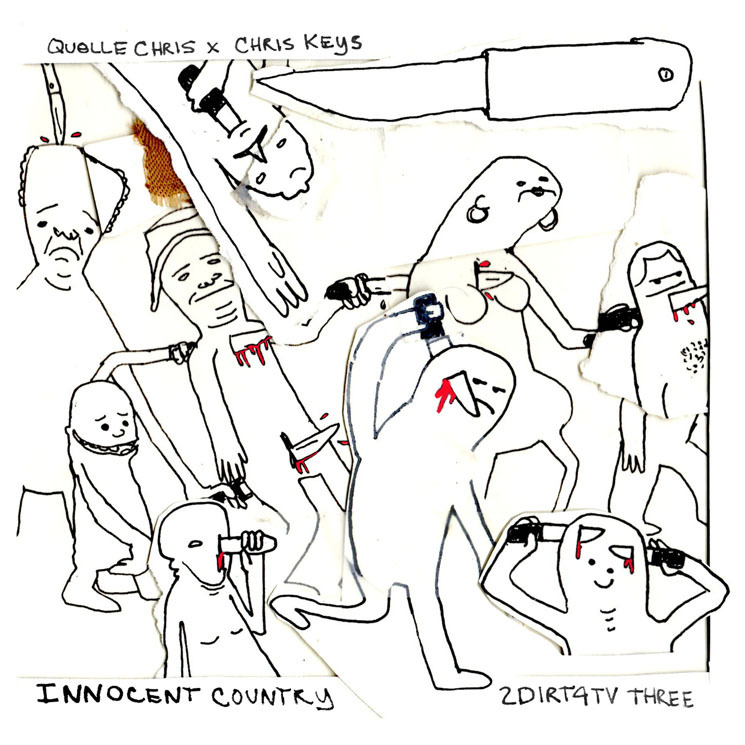 Anyone hoping to chant along to catchy hip-hop choruses will be dismayed by Innocent Country, the new LP by beloved underground Detroit MC Quelle Chris. But fans of complex rhymes will delight in puzzling over this lyrically opaque album. Case in point: early track "Where the Wild Things Roam," where he spits rhyme riddles like, "Now that you know what I mean, I introduce the deuce proof supreme." Hopefully Chris realizes that no, us listeners often don't know what he's getting at exactly, although it's fun (if sometimes a little exhausting) to hit rewind and try to figure it out. Later tracks like "Murphy's Law" and "Well Running Deep," have smooth, jazzy instrumentals and find Chris delving into deeper themes, rapping about seeing his Dad weep on the latter while delivering deeply moving lines with a briskness that ensures plenty of rewind value. Unfortunately, the album as a whole suffers from ghastly sequencing. This results in vertigo-inducing shifts between breezy, jazz-inflected introspection and jarring joke tracks, "Drugfest TooThousandToo" being a prime example of the latter. On it, Chris sounds like a twisted Dr. Seuss rapping simplistically about narcotics. The backdrop for those bizarro lines is an equally strange squeaky string section that will make stoners trip and leave sober listeners grating their teeth.